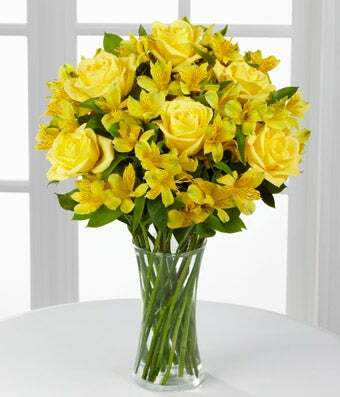 Bright yellow roses and sunny yellow Peruvian lilies form a lively bouquet. We have selected six medium stem roses and full stemmed alstroemeria, also known as Peruvian lilies, to create this long lasting bouquet. Vase Included.